Rentable electric scooters will be available in Sacramento and West Sacramento beginning today. This offers local residents a new form of transportation. The Uber company, Jump, is placing 100 electric scooters at bike racks in West Sacramento and the downtown Sacramento area. 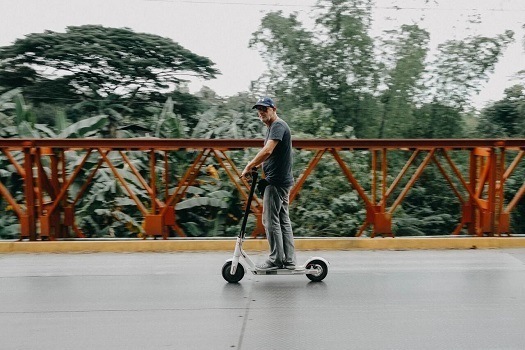 Those who want to rent one of the scooters can use the Uber app. The rental bikes (supplied by the same company) have been around the city since last spring. The scooters have a maximum speed of 15 mph, and each minute will cost the user 15 cents. Users of the new service should know that scooters are not allowed on city sidewalks. However, they can be used in the bike lanes. In addition, they must stay on roads that have a speed limit of no more than 25 mph. Today only, helmets will be offered in a free giveaway. One of the giveaways is being held on Broadway at Old Soul from 10:00 a.m. until 11:00 a.m., along with free coffee. The Barn at West Sacramento is also participating in the giveaway from 5:00 p.m. until 6:00 p.m. They will be handing out free stroopwafels. Although scooter users are not required to wear a helmet if they are more than 18 years old, it’s still a good idea. No better way to prevent head and brain injuries than by wearing a helmet. Riding an electric scooter on a sidewalk is prohibited. The rider must have either an instruction permit or valid driver’s license. Riders under 18 must wear a bicycle helmet that fits correctly and has the chin strap fastened. The rider must be alone on the electric scooter. Passengers are not permitted. The driver must have one hand on the handlebars at all times. Carrying packages or similar items that interfere with this is prohibited and can result in serious injuries. Motorized scooter riders are prohibited from riding faster than 15 mph, even if the speed limit is higher. Riders must obey the rules of the road just as others do. The Washington Post last summer reported on the high number of accidents around the country attributed to electric scooters. Emergency rooms were inundated with people who looked as though they had been in a motor vehicle collision with injuries from facial and blunt head trauma such as traumatic brain injury to fractured wrists and shoulders. The Santa Monica Fire Department reported 34 severe injuries caused by scooters during the summer. 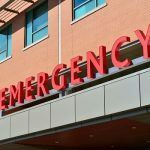 The head of an emergency room department at one hospital in San Francisco said that he saw as many as 10 serious injuries each week. Other cities such as Atlanta, Nashville and Austin reported similar findings. However, because of user agreements, disputes such as mechanical faults must be resolved through arbitration. A problem arises with scooters versus motor vehicles as it does with pedestrians and riders of motorcycles and bicycles. Because the scooter rider has a much less presence than a motor vehicle, collisions are going to happen. Many traffic accidents are caused by negligence on the part of the driver. Drunk or distracted driving, running a red light and other offenses cause many injuries and fatalities every year. In these cases, the injured scooter rider may be able to obtain compensation with the help of an experienced personal injury lawyer. An attorney can help by dealing with the insurance company for you. 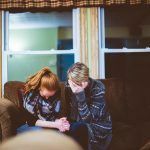 If the insurance company does not make an offer that will meet your needs, the lawyer can prepare a strong case for financial compensation in civil court. I’m Ed Smith, a Sacramento personal injury lawyer. 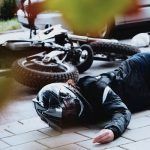 Being injured on a scooter by a motor vehicle can cause severe injuries that result in high medical costs, lost time away from work and other expenses. If this happened to you or to someone you care about, please call for free and friendly advice at (916) 921-6400 locally. Elsewhere in Northern California, you can call me toll-free at (800) 404-5400, or contact me at AutoAccident.com by filling out the online form. The National Association of Distinguished Counsel only allows membership from lawyers who promote legal excellence in the law profession. The Million Dollar Forum, of which I am a California member, represents trial lawyers who have obtained in excess of $1 million for a client. 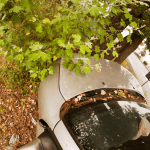 For 37 years, I’ve represented Sacramento and other Northern California residents by helping them to obtain fair compensation in all types of car collisions, traumas such as brain injuries and wrongful deaths.